This page shows the latest darapladib news and features for those working in and with pharma, biotech and healthcare. 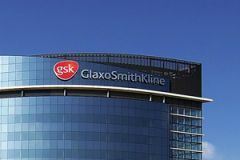 GSK's cardiovascular pipeline suffered a setback last month when coronary artery disease therapy darapladib failed a second phase III trial. darapladib for atherosclerosis which could have "vast potential" if it reaches the market. Albiglutide is, along with lupus treatment Benlysta and heart disease drug darapladib, one of a trio of drugs GSK has developed with Human Genome Sciences.